February has been an awful month for the Bulls. Four games, four defeats. But today is March 1st, St David's Day, the start of spring although it doesn't feel that way this morning with a ground frost. However it's expected to be a sunny afternoon at Edgar Street. For Martin Foyle and his squad, they have to put February behind them. It's crucial for the club both on and off the pitch that the players perform well enough to take at least a point from this afternoon's game against Wrexham if only to install a bit of confidence into them and at the same time help the club's finances. The Bulls probably need at least twelve points from their last eleven games to ensure they don't get relegated. Currently they are six points above the relegation zone. "Every game until the end of the season is going to be important to us if we are going to avoid relegation," said Foyle as reported by the Western Daily Press. "I think we need another ten points or so to make sure we are safe. It is of paramount importance that we get these points as fast as we can. "However, it's not all about the ten points, the next three is my main worry at the moment – we have to forget what's further down the line and concentrate on the Wrexham game, we know it's going to be tough." Meanwhile after the gate of only 1013 last Tuesday, the club will be hoping that supporters will turn out in numbers this afternoon. Wrexham are expected to bring around 200 to swell the gate. Hereford United manager Martin Foyle who has past links with Wrexham has spoken about the vacant managers post at the Racecourse. "I enjoyed myself there," Foyle told BBC Sport. "It'a a fantastic club but I'm doing a job down here at the moment and until I know anything different I carry on as normal." Andy Morrell quit as Wrexham manager last week. "I think Wrexham need a Conference manager that knows the players and the ropes because it's a hard league to get out of," Foyle explained. "It's not all about getting a squad together at the start of the season, it's how you wheel and deal throughout the season which makes some teams stronger." And as regards his task at Hereford. "I'm trying to manage the best way possible but, I'll be honest, I'm finding it very very difficult." William Hill are offering 21/10 for a Hereford United win over Wrexham tomorrow at Edgar Street. A draw is 5/2 with 888sport and UniBet. Chris Sharp and Michael Rankine are 13/2, Sam Smith 7/1, Cory Williams 8/1 and Dan Walker 9/1. As ever all prices from oddschecker.com and may vary. Hereford United, HUST, and fixthepc.net present the Bull The Other One comedy festival. Three days bringing five one hour Stand Up Comedy shows each day to the Starlite Rooms at Edgar Street. On each day doors open at 3pm with the first of three free shows starting at 3.30pm, 5pm, and 6.30pm. The main event shows start at 8pm with one of the fast rising stars of Comedy performing before some of the top names in the UK bring their brand new shows to Hereford. John Hastings (Canadian with his own TV special recently moved to UK). Free afternoon shows from Ben Briggs, Mark Cram, Jon Williams, and Maxine Jones. 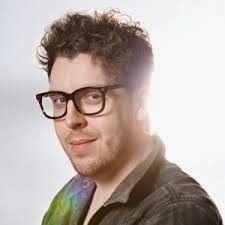 Pierre Novellie (2013 Edinburgh Amused Moose Award Winner and nominated for a Chortle award as Best Newcomer 2014). Free afternoon shows from Juliet Meyers, Rob Coleman, and Chris Purchase. 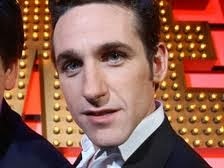 Stuart Mitchell (Scotland's rising star of Comedy, as seen on Frank Skinner's Opinionated). Free afternoon shows from Jon Pearson, Jay Handley, and Darren Harriott. Tickets for the main shows are £10 for one of the three days, £15 for two, or £20 for all three. 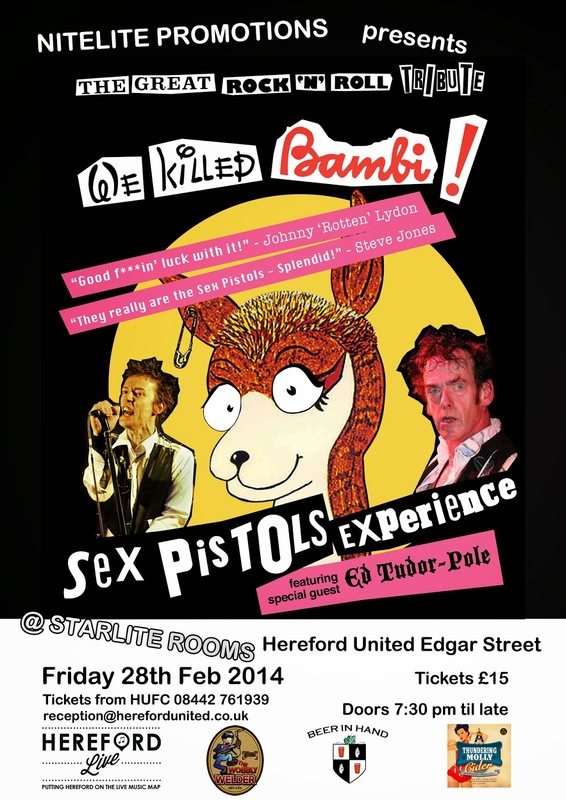 Tickets are available from Hereford United, or online through Brown Paper Tickets. The Hereford United Supporters Trust have recently purchased more shares in the club. They now have over 2,000 shares which means they can attend and vote at the club's AGM. HUST say that a 'shareholding in the football club is a high priority for the Trust'. Meanwhile HUST will start selling their 'Bull Mirrors' tomorrow in a joint venture with Hereford United. They will be available from the club shop. Hereford United chairman David Keyte met with both management and players to discuss the current financial situation at Edgar Street. During the talks Keyte made 'a clear statement that contracts would be met in full'. "Nobody is happy about the current financial situation and it's certainly not an easy message to deliver or receive when talking about personal finance," Keyte told the OS afterwards. "We all need to stick together and pull in the same direction for the football club. "We have a great fixture with Wrexham on Saturday and an early chance to start picking up some points again." The players and management met with the club Chairman and non-executive director Colin Addison on Thursday at the request of the Chairman. This is a brief summary of the discussions. The Chairman expressed his concerns about the personal views being expressed to the local press and media that risk the commercial confidentiality that all businesses need and asked that comments be restricted to football. A full and open discussion gave the players information about the club’s financial situation and also the opportunity to raise their own concerns. The Chairman made a clear statement that contracts would be met in full. Weather permitting the club has three home matches in March which, depending on attendances, should ease the situation a little. The players expressed a wish that the fans be made aware of the financial difficulties the club is facing which the Chairman believed were fairly common knowledge locally but, importantly, the players also wanted to state their full commitment to remaining professional and getting the job done. Chairman David Keyte told the club website that, “nobody is happy about the current financial situation and it certainly is not an easy message to deliver or receive when talking about personal finance. Neither the current players nor management were responsible for the club’s relegation in 2012, so it was encouraging to hear the players and management reiterate their commitment to the remaining battle ahead of us all this season. Grimsby have signed Scunthorpe striker Connor Jennings on loan for an initial month. The 22 year old netted 17 times in 19 games for Macclesfield in the first half of the season before a calf injury ruled him out for two months. Mansfield have announced that Adult tickets will cost £20 at Field Mill next season. The club will also charge £10 for kids aged 7-16, but it will be free for under 7's. Chester have signed defender Ricky Bridge from Evo-Stik side Newcastle Town. The 24 year old has spent the last year with Newcastle after leaving Leek after six years. Barnet have loaned young striker Jamal Lowe to Farnborough after recalling Jon Nurse yesterday. The 20 year old made 10 appearances for the Bees last season but is yet to feature this term. Wrexham caretaker boss Billy Barr says his side is struggling to score goals at the moment. "That final third is a problem at the moment and we’re going to have to come back in Thursday, dust ourselves down and we’ll be doing some work on the final third, movement, delivery and getting people in the right area. “I thought we played okay and think the scoreline did not accurately reflect the game as a whole. “Everything they hit seemed to go into the net and they only had a few more attempts than us on goal, but when things are going well for you, it seems that you enjoy a bit more luck. Ogleby, a Welsh u21 international, is one of three Dragons players on international duty next week. Keeper Andy Coughlin joins the Bulls' Daniel Lloyd-Weston in flying to Jordan with the England C side, while veteran defender Dave Artell is part of Gibraltar's squad to face Estonia and the Faroe Islands. Hereford United manager Martin Foyle hasn't got the easiest of jobs at present. Just fourteen players were in training yesterday and that included two goalkeepers. On top of that there's little cash available to pay the players and no hope of bringing anyone into the club at present. "The board of directors are under pressure," Foyle told BBC Hereford and Worcester. "They're under pressure to make big decisions, the ball is in their court. "They have obviously got to try and find out what's best for the club. "But, at the moment, I've got to stick the players together because there are a few precious minds in there at the moment. "I've just got to make them confident, feel good and hopefully the supporters can get behind them." Foyle may make a couple of changes for tomorrow's game against Wrexham. Dan Lloyd-Weston looks set to regain his place as goalkeeper especially given he's off to Jordan after the game for an England 'C' game on Tuesday. However Rod McDonald may not play as he has an achilles problem. 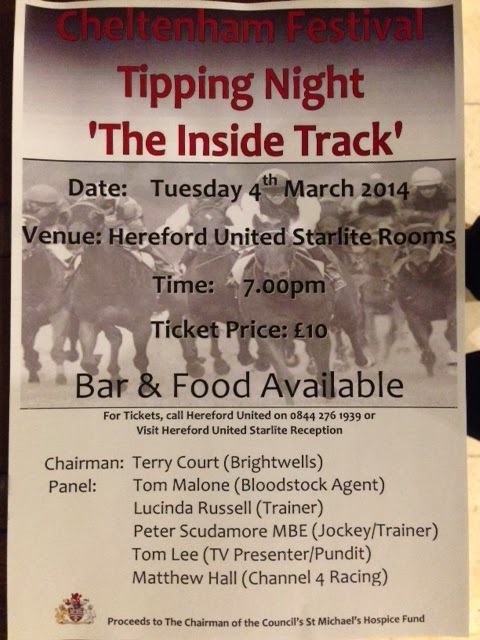 Next Tuesday, the annual Cheltenham Festival Tipping Night takes place at Hereford United's Starlite Rooms, commencing at 7pm. It's the only event to find out from those in the know all the latest news and views about this years festival. On top of that all the proceeds from the evening are going to St Michael's Hospice. Meanwhile Harry Topper, the seven year old owned by Hereford United chairman David Keyte, is entered in the Gold Cup which takes place on the last day of the festival, Friday March 14th, at 3.20pm. Currently he is priced at 25/1. We'd like to update you about the things the Trust has done since our last newsletter in January. Following the presentation last month that Jamie Edwards gave to the Trust, member Tim Brown donated a sum to the Trust to buy ten size 3 balls for the Community Trust's work with schools. Trust Board members have also engaged in positive dialogue with the Community Trust trustees on ways to help the Community Trust on a long term basis, including assisting the Community Trust in planned projects as well as fundraising. We are actively seeking the views of all fans over the future of Edgar Street with the planned development and the impact of the ACV. We have maintained a near daily dialogue with both the Council and Club over the past few weeks as we seek to make a decision in the best interests of the supporters of the club. On the back of our consultation with fans, we will be asking Non-Executive Director Bob Pritchard a number of questions on the future of the site and we will publish the answers. We have teamed up with Co-Operative Energy to earn HUST up to £25 for every person that switches to their Gas and Electric supply. We have also signed up to Easy Fundraising - an online portal that will pay the Trust a percentage of the money you spend through over 2,700 online retailers. For £50, companies large and small can have a presence on our website and have the opportunity to offer discounts and special offers to Trust members. We have already signed up four local businesses, with micro pub Beer In Hand, GJS Carpentry & Building Services, computer repairers fixthepc.net, and Bromyard Glass signing up to the scheme. The boards of both HUST and HUISA will meet on Monday to discuss joint initiatives in both the short and long terms. Over 400 individuals have now signed up to HUST, and membership remains open to all. In association with Bromyard Glass, the club will be stocking HUFC 'Bull' mirrors for £15. These have been supplied through HUST and should be on sale in the Club Shop ahead of Saturday's game with Wrexham. There will be a three date mini Comedy Festival this summer at the Starlite Rooms. 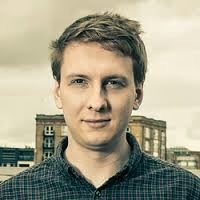 Each of the three days will be headlined by a national Stand-Up Comedy star, with Joe Lycett (BBC's Epic Win, 8 out of 10 cats), Carl Donnelly (Edinburgh Award nominee 2013, Mock The Week, C4's Stand Up For The Week), and Tom Stade (Dave's One Night Stand, debut DVD released last November) all scheduled to perform. Tickets are just £20 for all three days, with 15 comedians each performing one hour shows across the three days. It can't be very easy being Hereford United manager at present. A run of four defeats, short of fit players, let alone having to tell them on occassions that they are not being paid. However Martin Foyle feels he's in the middle year of a three year plan to put the Bulls on a better footing. "I care so much about the club," Foyle told BBC Hereford and Worcester. "That was my job to come here and keep the club afloat. "It was a two stroke three year plan. "We're into the two and we've saved them thousands and thousands of pounds worth of money. "But the football has taken a hit which I said it would do in the second year. "Did I expect it to be as hard as this, no. "But as I said we've got to make sure we are all together." It has been confirmed that the Hereford United Under 19 Development League team will play Chelsea next Wednesday (February 5th) in the National League Cup. Kick off at Chelsea's training ground, which is at Cobham, is likely to be 1pm. Chester have released striker Jamie Reed to allow him to take up a coaching job in Australia. The 26 year old previously played Down Under in 2010, and has scored only twice in 26 games this term. Gloucester have targeted Newport Director of Football Tim Harris to be their new boss after ending talks with Dean Holdsworth. Harris was previously team manager and General Manager of the Tigers for three years to 2009. Aldershot boss Andy Scott says his side is down to the bare bones, with several of his team playing with injuries. Defender Joe Partington is the latest casualty, with the Bournemouth loanee suffering knee ligament damage that could end his season. Luton have bagged a Player and Manager of the Month double with Andre Gray and John Still picking up the awards for February. Ex-Bull Tim Sills is the Conf South Player of the Month after helping Gosport Borough into the FA Trophy Final. The Conference also named Kris Taylor as the Conf North Player of the Month as a special award, with Skrill handing over £1000 to a cancer charity along with the award. Lincoln have lost the services of loan striker Delano Sam-Yorke after he was recalled by Cambridge. Boss Gary Simpson is now seeking a replacement ahead of the weekend. Forest Green have loaned striker Jason Walker to Southport for a month for him to get match fit. The former York man has only managed two sub appearances in four games with the Gumpers so far. Ex-Bull Joe Colbeck is to miss at least a month with an ankle injury. The Grimsby winger will likely miss their trip to Edgar Street at the end of March as a result. Barnet top scorer Jake Hyde will miss six weeks with a hamstring injury. The Bees have recalled Jon Nurse from his loan at Farnborough as a result. Wrexham will come to Edgar Street on Saturday under the guidance of caretaker boss Billy Barr, who is expected to want the job full time. Barr had coaching roles at Carlisle, Preston, and Sheff Weds before agreeing to become Andy Morrell's assistant at Wrexham in 2011. Prior to his current caretaker role, he had a five game spell in temporary charge at Carlisle where he won only two points. “I am not bothered about me, I am just bothered about them players because whether it is myself or somebody else, they will be here anyway. We go again, I will do the job until I am told not to and we will deal with the circumstances after that - it is not about Billy Barr. “I am gutted for the lads because we thought that if we were at our A game, I’m not saying we would beat them but we would give them a game. Dragons' chairman Don Bircham has told fans that over 100 applicants have already put their names in for the job, calling some of them timewasters and others 'over qualified', and that the board will sit down on Tuesday to sift through the submissions. Bookies' favourite Frank Sinclair has refused to speak publicly about the job, with Wrexham Director Barry Horne watching Sinclair's Colwyn Bay on Tuesday night, but ex-Luton man Gary Brabin has again gone to the press to announce his candidacy. The Bulls' Football & Education Programme u19 side has set up a tie with Chelsea after beating Watford on penalties this afternoon in the PLFL u19 National League Cup. After a 1-1 draw with Liam Taylor netting, the Bulls won 4-3 on penalties with Taylor, Conor Gorman, Sam Plane, and goalkeeper Owen Evans netting before Evans saved Watford's final effort. The Quarter Final game against Chelsea is scheduled to take place next week at the Premier League side's Cobham training site. The £20million facility stretches to 140 acres and includes state of the art training facilities and thirty football pitches. Tamworth have axed a trio of experienced defenders. Ex-Bulls Tony Capaldi and Chris Palmer, and former Luton man Wayne Thomas have all left the Lambs. Capaldi made 24 Conference appearances this season but has missed their last seven games, while Thomas was also a regular. Palmer arrived at the club last month, but only started two games. Meanwhile Michael Townsend has started the Lambs' last four matches, in which they have collected only a single point. New Chester signing Matty Mainwaring says the club is a sleeping giant. The former Stockport man dropped from full time to part time football in joining Steve Burr's side. Cambridge boss Richard Money says his side are 'a million miles away from the play-offs' after their loss last night extended their dismal run to just two points from their last five matches. Hereford United manager Martin Foyle has given his reaction to last night's home defeat to Macclesfield. "To be honest I thought the first half was poor, gutless," Foyle told BBC Hereford and Worcester. "We can have the criticism and the supporters are 100% right. "I'll take the can, my job is to protect the players. "Obviously it's the same ones that we pick up again. "We've got nothing to blame other than ourselves. "The boys they are not producing it." With Manager Martin Foyle planning to field the same side that lost to Dartford on Saturday, Michael Rankine was forced to pull out at the last minute due to a hamstring problem arising in the warm-up. Chris Sharp bridged the gap. With a last minute space appearing on the bench, youth teamer Jarrod Bowen was drafted in. With the Bulls kicking off, they showed some early intent with a cross from Dan Walker headed out. Artus’ resulting corner was sent straight into the hands of Rhys Taylor. Macclesfield were soon on the counterattack and causing problems for Hereford’s back four. Nothing came of this early possession, and the ball was sent long up the field for Sharp to chase. With Sharp holding the ball up down the right, the Bulls were slow to get up to help him, and the ball was cleared by the Silkmen. Jon Brown had a good chance to give the hosts the lead after 18 minutes, when following a pin-point cross from Artus to Purdie, Purdie played the ball back to Brown for a left footed shot just outside the 18-yard box. His shot was wide, but took a deflection of a Macclesfield defender on the way out for a wasted corner, as well as narrowly missing a sliding Smith. Dan Walker showed both pace and determination, when a run up the flank saw a cross into the box which Sharp could not quite stretch far enough to get the finishing touch. Macclesfield took the lead when a Peter Winn corner was sent in to the far post, and George Pilkington’s header was enough to beat goalkeeper Rhys Evans. Danny Leadbitter sprinted up the wing trying to get a cross in to the box, but was harshly brought down by Whitaker, who was shown a yellow for his actions. Silkmen keeper Taylor was untroubled by Frankie’s free kick and calmly caught the ball. An immense period of pressure came from Macclesfield as the half agonisingly drew to a close. Skipper Luke Graham was initially accused of handling the ball in his own area before the ball trickled out for a corner. From the corner, Pilkington headed the ball goal-bound, only for the chance to be blocked by Purdie stood on the line, who was then judged to have handled the ball – referee Barratt disagreed with his assistant and play was waved on. Just 3 minutes into the second half, United’s woes increased, when a Macclesfield corner was only cleared as far as Danny Andrew; he crossed again for Scott Boden to head past the static Evans. Martin Foyle made a double substitution on 51 minutes, which saw both Rod McDonald and Rob Purdie replaced with Chris Bush and Kingsley James respectively. Taylor threw the ball out, but only as far as left back Andrew. Walker quickly closed him down and the pressure proved too much as Hereford’s winger came away with possession. As Walker went to strike, what would’ve been an excellent goal, Andy Halls slid in to deny Hereford a life-line. Smith was quick to follow up this attempt with a snapshot of his own, but the effort was too wide to trouble Taylor. Cory Williams injected some life into the game when he replaced Chris Sharp. With 12 minutes still to play, Walker’s flag kick, won from his cleared free kick, dipped nicely for Collins to head downwards at the back post to grab his 4th goal of the campaign. Hereford utilised the wings in the dying stages of the game, with both Williams and Walker creating good chances from crosses. Jon Brown could’ve brought the Whites level, but his header was sent wide of the upright. In the 5 minutes of extra time, Cory Williams was fouled 25-yards out which set up an excellent chance for Artus to equalise, but his shot was deflected agonisingly wide of the target for a fruitless corner, which did see goalkeeper Evans travel the length of the field, trying to get that illusive second goal. Hereford: Evans, Leadbitter, Graham, Collins, McDonald (Bush 52’), Walker, Brown, Artus, Purdie (James 52’), Sharp (Williams 74’), Smith. Subs not used: Bowen, Edge. Macclesfield: Taylor, Halls, Connor, Pilkington, Andrew, Mackreath, Turnbull, Whittaker, Winn, Sodje (Holroyd 71’), Boden (Williams 84’). Subs not used: Branagan, Rowe, Kay. With Michael Rankine missing from the starting line up, Hereford missed his excellent hold up play and failed to get a foothold in the game; but only up until the last 15 minutes, when the Bulls scored their first goal in 3 games. Hopefully, with this being the last game in February, the Manager of the Month curse will now be passed onto the next manager. New month, new fortunes. See you Saturday. A selection of pictures from tonight's second half at Edgar Street. A selection of pictures from a poor first half for Hereford United at Edgar Street this evening. Hereford United striker Michael Rankine was set to take part in tonight's game against Macclesfield but it's understood he pulled up during the warm up. Chris Sharp took his place in the starting XI. Youth team player Jarrod Bowen was named as a substitute. Later it was suggested that Rankine had a hamstring problem and could miss next Saturday's game against Wrexham. All the main stats from this evening's Conference match between Hereford United and Macclesfield are below. The Bulls' safety margin is down to six points after tonight's results. Chester moved out of the bottom four by two points in beating Tamworth 4-3 after leading 3-0 and 4-1. Southport are also clear of the bottom four after beating Grimsby 2-1. Aldershot and Dartford drew 1-1 to leave the pair in danger. Woking lost 2-0 at Kidderminster, and Braintree beat Cambridge 1-0. Luton beat Wrexham 5-0 to open their lead at the top to 14 points. Barnet are third, one point behind Cambridge, after winning 2-1 at Forest Green. Gateshead lost 2-0 at Welling to dent their play-off hopes. The Bulls lost 2-1 at home to Macclesfield in tonight's Conference match. A miserable performance was only ignited in the final 15 minutes with Dom Collins bagging a late header and sub Cory Williams putting in more effort than some of his teammates that started the game. BBC Hereford and Worcester will have full match commentary of Hereford United's match against Macclesfield as part of a Sports Special which kicks off at 7.05pm. Bulls Player will also have full commentary. For those who do not subscribe to BP, there is currently a 14 day free trial available. For more details go to the OS. Daniel Lloyd-Weston has spoken about his England C call-up. Speaking to StaffsLive, the former Port Vale stopper said: “I came home from training one day and my manager called me and I thought it was a bit strange as normally managers just see you in their office. “But when he spoke he said it was simply good news and that I have been called up into the England C team. I couldn’t speak for five seconds because I was speechless. I am just so excited, but I am also quite shocked as I wasn’t expecting it. “We have a league game against Wrexham on Saturday and the moment that finishes I will be heading down to Heathrow on Sunday to meet the rest of the team. From then we fly out to Jordan. Lloyd-Weston also spoke about the first half of the season with the Bulls: “When I joined the club in the summer my aim was to have a good pre-season and to get myself into the first team and starting each week. “Unfortunately, that didn’t happen and I was on the bench. However, Rhys Evans got injured in our FA Cup game at Burton Albion and I came on. Chester have signed forward Brendan Daniels on non-contract terms. The former Crewe winger or striker had a loan spell with the club last season, and had been on trial with Gateshead. Gloucester say they are in talks with their preferred candidate, claimed in the press to be ex-Aldershot boss Dean Holdsworth, over their vacant managerial post following David Mehew's dismissal over the weekend. Lincoln boss Gary Simpson says the club have agreed in principle to extend the loan of keeper Nick Townsend from Birmingham to the end of the season, and they are also in talks with Crewe over an extension for defender Thierry Audel. Kidderminster Director John Davies has confirmed he has stepped down from the board. Davies owns the club's shirt sponsors, but says he is not walking away from the club. The Trust’s table will be set up in the VP Club Lounge reception area between 6.30pm and 7.30pm before tonights game. Along with our usual range of merchandise on sale, we will also be taking memberships. Along with our standard Adult (£10) & Junior (£1)Memberships, we are now taking Corporate Membership which offers businesses the opportunity to advertise here on our website and publically support the Hereford United Supporters Trust. Other benefits of our Corporate Membership are laid out under the Membership Section of our Website. We will have sign up forms on our Table. Board Members of the Trust will be around the VP Club, Addisons & Radfords for discussions on any topic which you deem relevant. So pop along and support the Trust on your visit to Edgar Street tomorrow night to follow your local team. Provisionally, we will not be having a table for the Wrexham game as our Volunteers are otherwise engaged. Although we will be announcing a further way you are able to support the Trust and the football club starting from Saturday, so keep an eye on our website. The bookies have installed Bulls boss Martin Foyle as a 20/1 shot to become the next Wrexham manager. The Conference's reigning Manager of the Month spent much of 2008 with the Dragons as coach to Brian Little, and was a contender for the main job before Dean Saunders was appointed and Foyle left the Racecourse. Current caretaker boss Billy Barr is the 6/1 joint favourite along with Colwyn Bay boss Frank Sinclair, who spent two years as a player with the Dragons at the end of his career. Dean Saunders is 10/1 for a return to the club, while TNS Director of Football Craig Harrison is 14/1 alongside Robbie Fowler. Former Northampton boss Aidy Boothroyd is 16/1 with the recently retired Dragons defender Mark Creighton. Foyle comes in as one of four on 20/1 alongside club stalwart Brian Flynn, ex-Forest Green boss Dave Hockaday, and Airbus manager Andy Preece. The Dragons have advertised the position this morning. Tomorrow evening's Hereford United Shareholders AGM has been postponed. In a statement chairman David Keyte has said that the meeting has been postponed because of requests from shareholders to do so. It will now take place on Monday March 17th at 7pm in the Starlite Rooms. There was a potential problem for the club with the notices for the AGM going out less than 14 days before the meeting which, in theory, prevented shareholders putting forward new names for directors. "We know we may have been a bit short on notice so we have decided to rearrange," said Keyte. However delaying the AGM and therefore the signing of the accounts will mean that they will be late reaching Companies House. Hereford United shareholders have yet to be told which room will host tomorrow evening's AGM. It's all because of an 'Evening of Mediumship' is also booked to take place at Edgar Street. Tickets for this event are £12 and can be obtained at the door. Last year the AGM took place in the Starlite Rooms but the VP Room has been used in the past. The AGM is set to commence at 7.15pm and the 'Mediumship' featuring Bernie Scott at 7.30pm. Macclesfield boss John Askey is waiting on the fitness of defender Carl Martin and forward Scott Boden ahead of their trip to Edgar Street tonight. Boden started, and scored, in their loss at Woking before being subbed due to injury. Martin, who was subbed off after only seven minutes of their win over Crewe, has missed their last two games. "First half was probably the worst we've played, having said that we were 1-0 up. Again, we've conceded daft goals. When you go away from home and score two goals you expect to get something out of the game. "All we can keep doing it change the personnel round and keep working hard. We've got to learn that if you're not playing well, or the pitches don't allow you to play well, you've got to compete a little better." The Silkmen will have striker Akpo Sodje in their squad. The 33 year old replaced Boden early in the second half for his first senior appearance since being questioned on match fixing claims. Askey also has two ex-Bulls in his squad. Striker Waide Fairhurst returned to the Silkmen on loan at the end of January but has made only two sub appearances since, while defender Joe Connor was dropped to the bench for the Woking game. Nailswortholdbull feels more could be done to help teams like Hereford United increase their income. He explains how he thinks it could be done. Tonight is yet another night where our club, and every other club in the Skrill Conference, will be hit in the pocket by the multi millionaires of European football, and the combined power of the television companies. Gates are dropping weekly, and not just at Hereford United. It seems hardly a month goes by without news of another Conference outfit experiencing financial difficulty. And what does the Conference board do to help? Why, they manage to schedule tonight’s matches up against the attractions of European televised football! We’ve just had the news that Wayne Rooney has signed a £300k per WEEK contract at MUFC. Clubs in the Conference, ourselves included, have faced winding up orders for less than ONE DAY of Rooney’s wages. It’s an outrageous situation, although we shouldn’t expect Rooney to turn his back on the deal. But this Club, and all the other Conference clubs, should be beating down the Conference board’s door, and demanding that, if Prem clubs can afford to hand out salaries of that type, shouldn’t they be made to face an obligation to the roots of English football and be made to show some form of support for non league? You might ask, why should they? The answer is that, very simply, it is them, together with the TV companies, who are steadily draining the life out our lower league clubs. Chances are, if it’s raining tonight, there are those of you reading this who might opt for a comfortable seat in front of the telly, to watch the overpaid prima donnas that “grace” our TV screens, instead of going to ES and putting some much needed cash into the coffers of your own football club. * TWO automatic promotion places up from Conference to L2, plus a third place via playoffs? * Scheduling of midweek matches so that they do NOT clash with televised football? * If that can’t be done, the TV company to pay affected Conference clubs say £5k per match for loss of income? * A more robust approach to the FA, who appear to be allowing the footballing gods of the Prem to treat the lower league clubs as if they are of no importance. If things are allowed to carry on as they are now, it may well be that full time Conference football, unless bankrolled by millionaires, will cease to be. In which case, the choice you might have tonight, will no longer exist! Time for the Conference board to earn their money, and press hard for a better deal for their clubs. They should be ashamed that they have let their league slip into it’s current state. If they can’t, or won’t, take action, they should resign en masse, and hand over the reins to PEOPLE WHO CARE. After a gap of exactly four weeks, football is back on the menu at Edgar Street this evening. Due to both the weather and the way the Conference selects who plays who and when, Hereford United have had four weeks with no income from matches for the first time for several seasons. And this lack of match income has given the board problems in raising enough cash to pay both the players and staff. So for that reason alone it will be good to be able to see some football tonight. Ken Rae, the new chairman of Kidderminster Harriers, has told BBC Hereford and Worcester that former chairman Mark Serrell stood down because of social media abuse. "Mark has been subject to an awful lot of abuse on social media," said Rae. "I believe it centered around the sacking of Steve Burr and the appointment of Andy Thorn. "And results have not been fantastic since Andy took charge. "It's been levelled at Mark that he made that decision, whereas it was actually a board decision. "A lot of people have got short memories. Three years ago, there wasn't going to be a Kidderminster Harriers. "But for Mark Serrell and his wife and a few other people, Kidderminster Harriers would not be there." Kidderminster have taken only two points from their last five games and the gate last Saturday at Aggborough was just 1653 nearly 500 less than their average this season to date which is 2131. Serrell stood down after last Saturday's home game. "I am proud and honoured to have played a part in helping to rebuild Kidderminster Harriers over the past three years," Serrell told BBC Hereford and Worcester. "But during the past few weeks it has become apparent that supporters have lost faith in my leadership." Hereford United play their first game at Edgar Street for four weeks tomorrow evening when Macclesfield are the visitors. Since that last home game, a draw against Kidderminster, the Bulls have lost three away games conceeding twelve goals without reply. But there were signs, especially in the second half, at Dartford last Saturday that confidence was returning to the squad. So the current best price of 9/5 for a Bulls win looks reasonable. That price is available with Bet365, William Hill and Betfair. Top price for a draw is 23/10 which is available at most of the big bookmakers. Eastwood Town have withdrawn from the Evo-Stik League after failing to fulfil their fixture on Saturday. They were locked out of their ground by the local council over unpaid rent and rates, and have seen a string of players leave due to the club's precarious position. They will now have their record expunged and face an uncertain future. Alfreton have signed Barnsley defender Andrai Jones on loan for an initial month. The 22 year old played 19 times for Bury before joining the Tykes 12 months ago, but he has made only two senior appearances since. Conf North side Colwyn Bay are offering free admission to their game on St Davids Day on Saturday to anyone called David. Halifax have released midfielder Craig Clay. The midfielder only signed on a month ago, making four appearances after leaving York. Barnet have released defender Jordan Brown by mutual consent. The 22 year old former West Ham trainee made only three first team appearances this term after 24 last season. Wrexham have dispensed with the services of manager Andy Morrell by mutual consent, a club statement has stated this morning. The Dragons saw their play-off bid virtually ended on Saturday with a home loss to Barnet, with the statement quoting Morrell as saying: “I feel it is in the best interests of both Wrexham FC and me to make a change now, so that we can all plan for the future with certainty." Morrell, 39, had been in charge since 2011, taking them to both the play-off and FA Trophy finals last season. This term, the Dragons lie 13th in the table and ten points shy of the top five. Assistant boss Billy Barr will take charge of the team with coach Michael Oakes. The Dragons visit Edgar Street on Saturday, and face a trip to leaders Luton on Tuesday night. 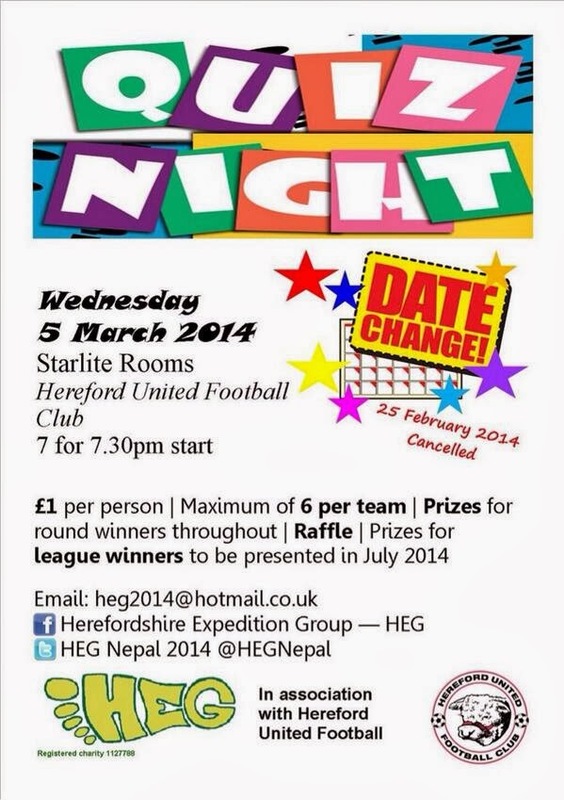 Hereford United (1939) Limited will be holding their AGM on Wednesday evening. With the club due to announce that it has traded at a loss for the year to May 31st 2013, there are bound to be questions asked about the long term future of the club. The recent admission from chairman David Keyte that the club continues to lose money will also have been noted by shareholders. Indeed it looks as though the balance sheet could show that shareholders funds are around £500,000 in the red. In other words the company's liabilities could exceed its assets by £500,000. Without the loans from directors and others the club would not be able to trade. Twelve months ago the club's accountants noted that they were concerned about the financial position at Edgar Street. What they will make of the current position remains to be seen. The meeting starts at 7.15pm. The Community Trust's Big Bike Ride 2014 is to take place on Saturday, April 5th. The ride will depart Edgar Street for Leominster, before heading to Hay-on-Wye and then back to Edgar Street for a total of 60 miles hopefully in time for the home game with Woking. Participants can enter for the whole route, or for smaller 20 or 40 mile stages. The entry form for the ride is now online here (link). The event's Facebook page is here (link). Last year's Big Bike Ride raised over £7,000 for the Community Trust, with cyclists making the trek to Telford ahead of the final game of last season. Kidderminster have named current Director, and former Redditch chairman, Ken Rae as their new Chairman to the end of the current season. Director John Davies is also reported to be stepping down. Two Chester fans needed hospital treatment after being set on by a group in Lincoln following their game yesterday. Police are seeking a group of up to 20 youths over the incident. Southport have released striker Steven Tames, allowing him to join Vauxhall Motors. The 22 year old netted once in 13 games this term. Halifax have signed defender Chris Smith on a short term deal. The 32 year old former York man was released from Bootham Crescent in January. Boston manager Dennis Greene has blasted the referee after his side ended yesterday's 4-0 loss to Harrogate with just six fit players. Boston had two players, including former Bulls trialist Carl Piergianni, sent off inside 15 minutes then had three further players pick up injuries with all three subs used. The game only finished with defender Stefan Galinski staying on the pitch despite being barely able to walk. Forest Green midfielder Marcus Kelly has signed a new contract with the club keeping him at the New Lawn until the summer of 2015. The 27 year old signed from Tamworth last summer, netting eight times so far this term.